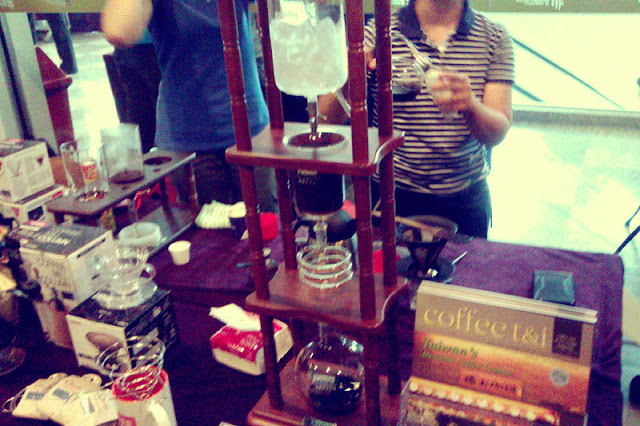 During the coffee conference , I met all the top barista from Malaysia , Taiwan , Thailand & Singapore. 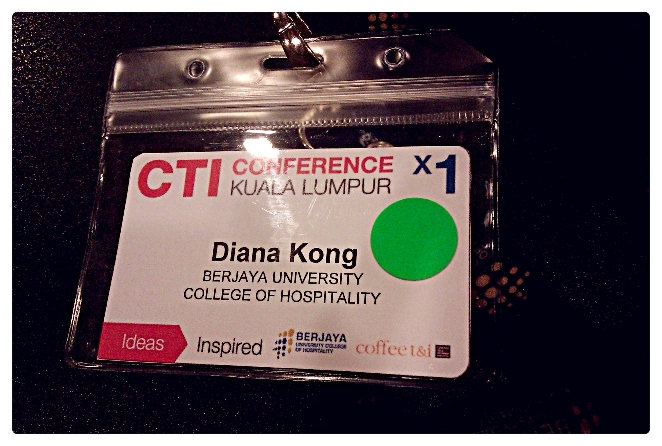 Then , I get to attend 3 workshop . It's really a good experience for me . Through the conference , I really learned a lot about coffee. 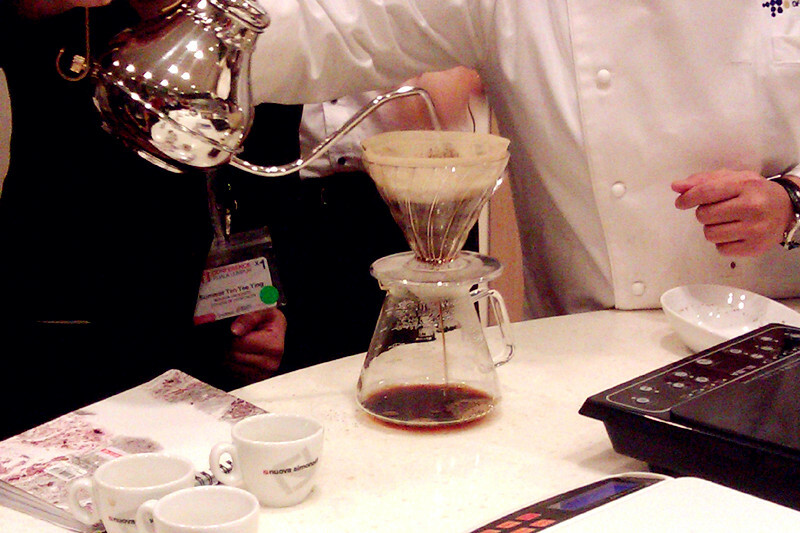 As you can see from the picture , this process of making this coffee took 8 hours to produce only 4 cups of coffee. To have a better taste , it need to put into fridge for 3 days. I did tried the original one. But I do preferred the one that store in the fridge. It really taste good . 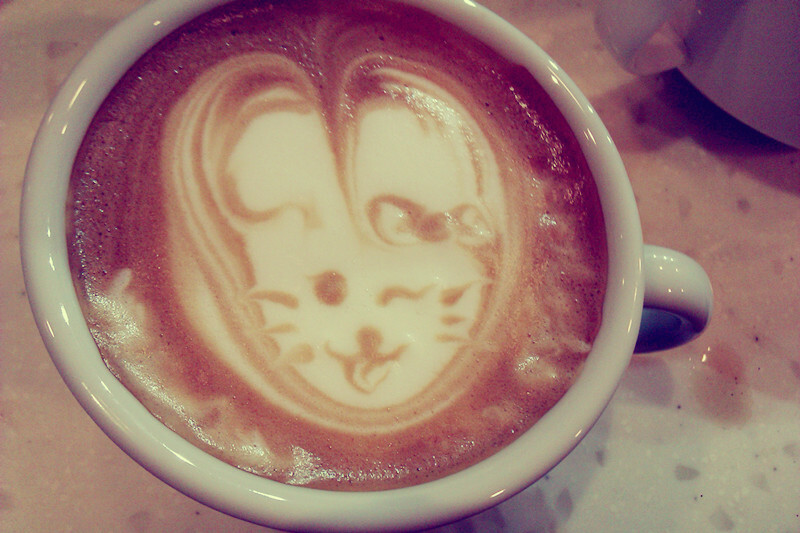 Awww , I miss that coffee already . After lunch , workshop begin . The 1st workshop I attend was MR.TONY's ( Singapore) workshop . 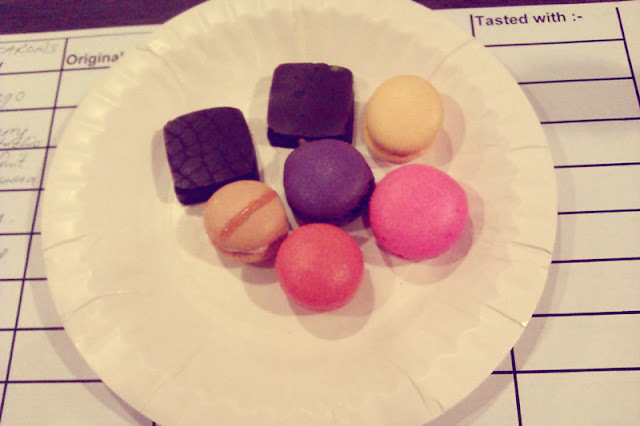 I get 5 types of macaroons and 2 types of chocolate. I really don't like to eat chocolate. But for this , I ate a little bit . Wonder why those macaroons and chocolate for ? 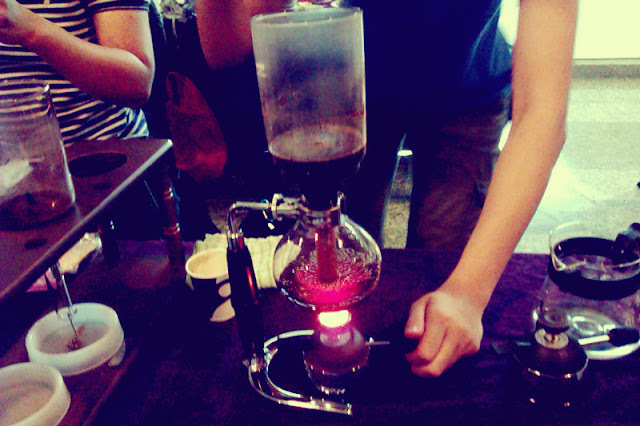 It's to taste with coffee. 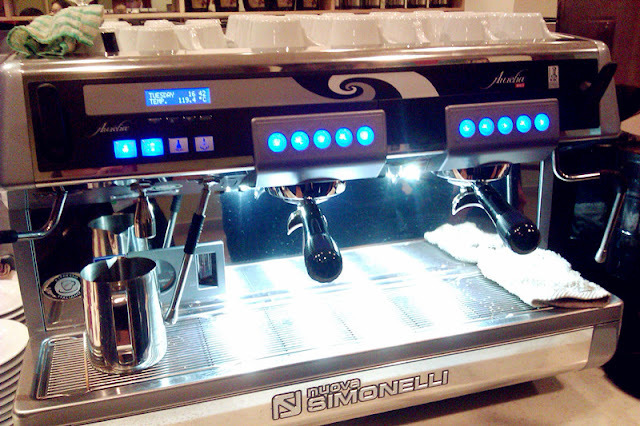 I get 3 type of coffee which are : Yigarcheffe , Barli Kimtamani , Guatemala . I need to try every dessert then drink the coffee. 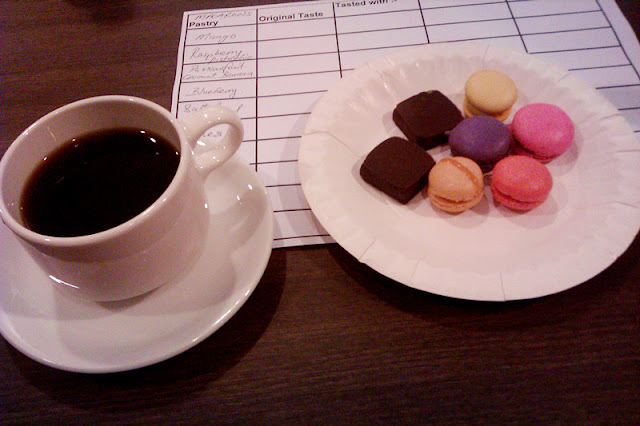 I was so surprised because it brings out different taste for each of the dessert when I try with different type of coffee. For me , I prefer BARLI KIMTAMANI . 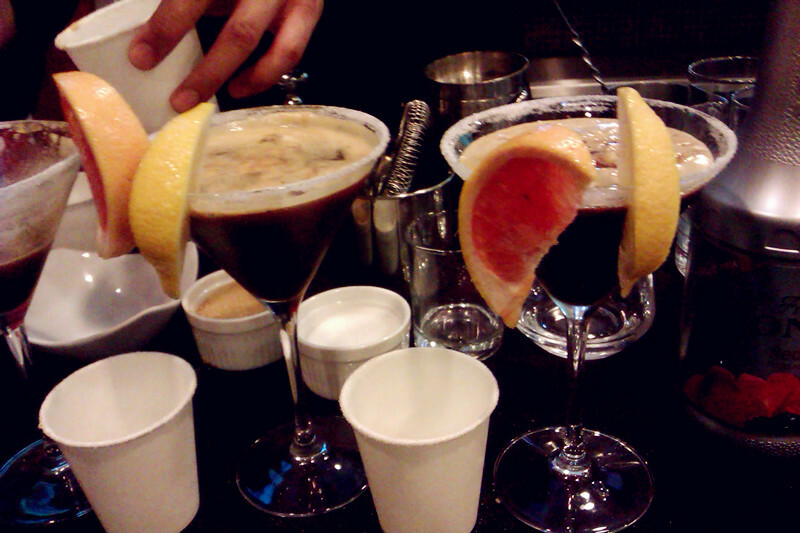 He made juices mix with coffee. What a nice combination. Of course taste nice. 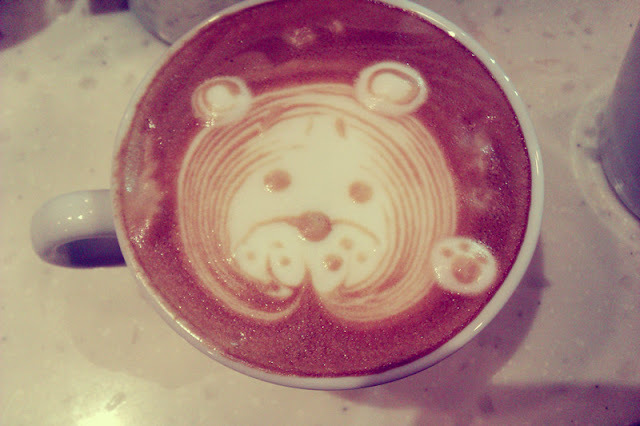 Mr. Van is really good in latte art . 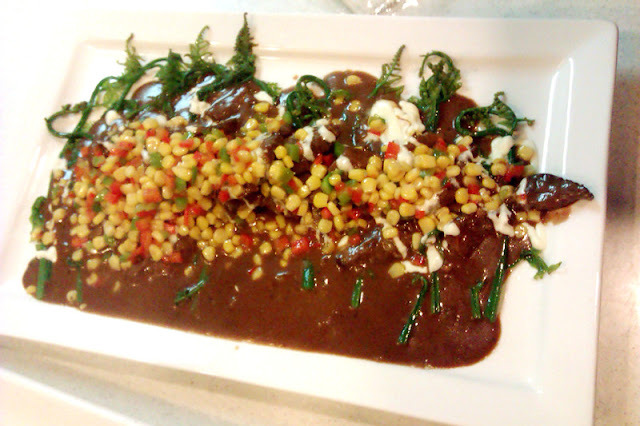 He also had a franchise in Malaysia which located in Bangsar - Buffalo Kitchen . I must visit there in one day. 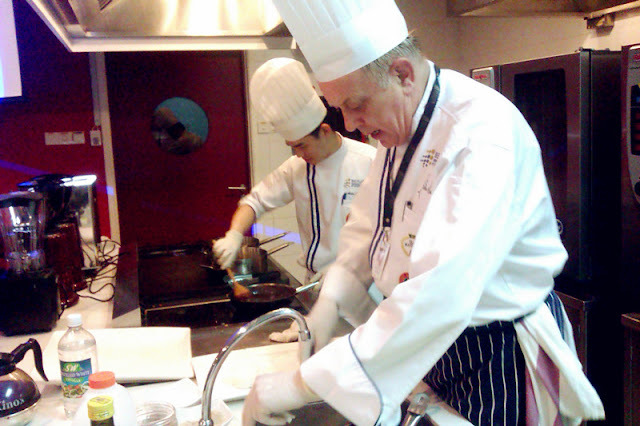 Here come our lovely Chef Jochern from German . 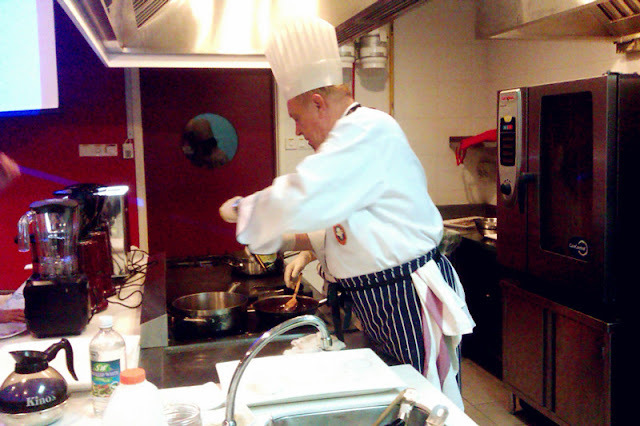 He always cooked really nice food for us. Haha. 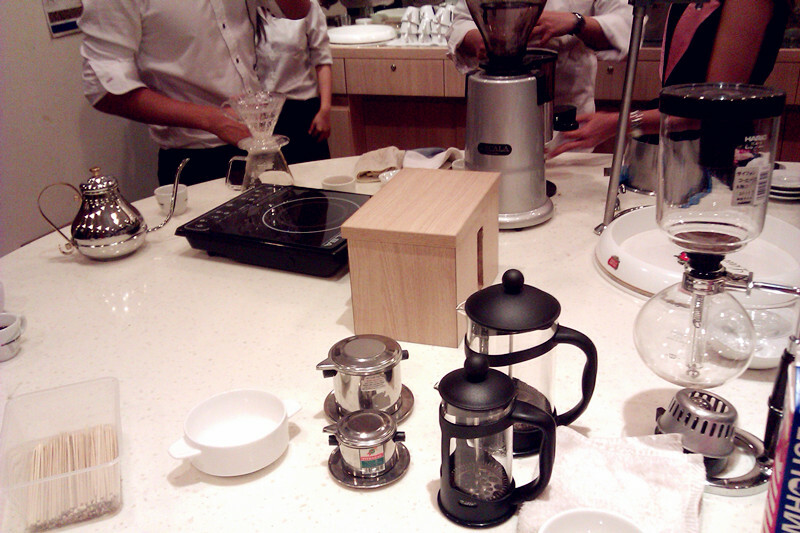 He cooked the beef with the coffee sauce for us . Goshhh , I really really miss that =S It was super duper good taste. Never think of coffee can mix with food right ? 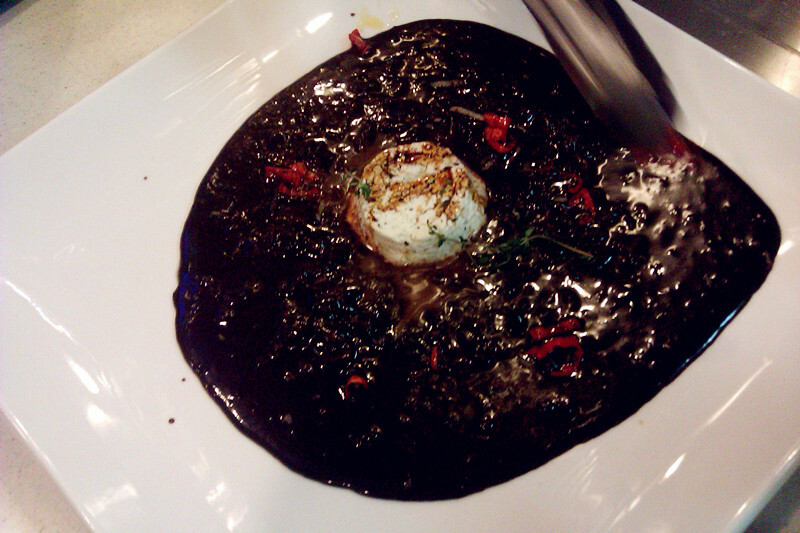 Our chef did a really good dish with coffee ! The second dish was cheese with coffee . For the last workshop , I get the chance to make my own coffee and latte art . 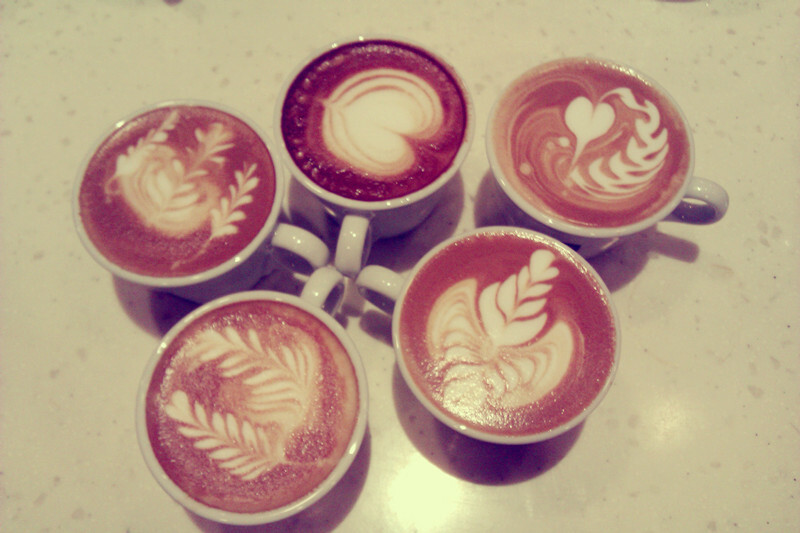 To make a latte art is not easy , trust me . It was fun thou . These are all make by the professional . Nice right ? Tadaaaa , my handmade latte art . Cute right ? Actually , this considered failed . Haha . 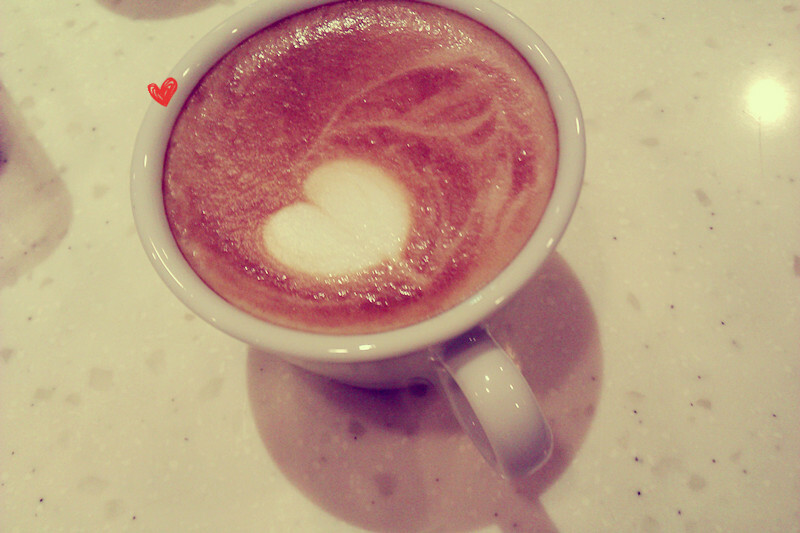 You can see those professional made a big heart on top of the coffee. Mine is small . 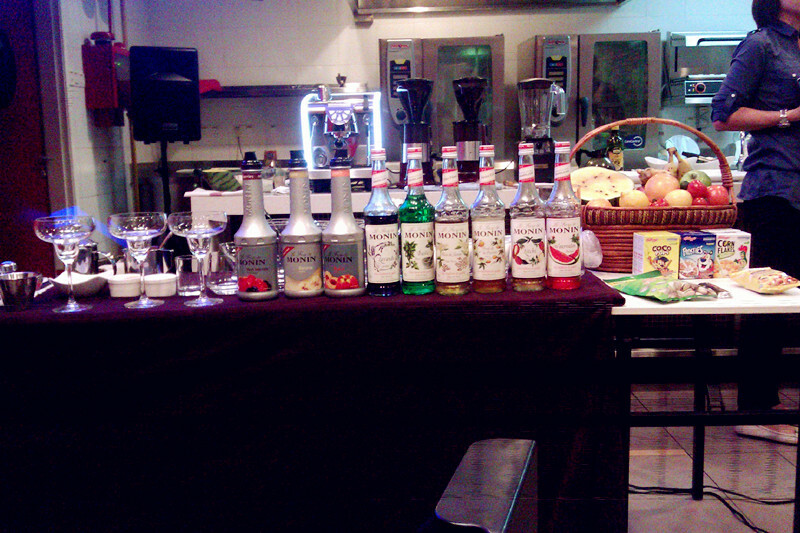 I really enjoyed so much on that day . I remember I drank more than 5 cups of coffee on that day . FRESH.